Since you will most likely ask yourself "why should I bother to read this text-wall? ", here is the answer: it will help you understand how armor/physical EHP (effective hit points) works and thus improve your ability to purchase the correct items and to properly react to items purchased by the opponent. Calculations can be partly skipped if you want to, but I have made sure to only do the most necessary calculations. From a pure subjective and unreflected point of view people have always claimed or had the feeling that stacking armor becomes gradually less effective. Even today it's nothing unusual to meet people who feel this way and this feeling found it's expression on the mechanics pages of PlayDota, which I will quote later on. Already a long time ago however it was established that each additional piece of armor provides the same protection as the previous one. As a consequence the idea of armor stacking becoming less and less effective has been shelved, considered to not be true. Unfortunatelly this is partly a fallacy. - Armor stacking becomes less and less effective the more you have -> this is true aswell! How can both be true? How can purchasing multiple Plate Mails become less and less effective when, at the same time, each platemail provides the same protection from numbers of attacks? Well, it depends on what you compare it to/meassure it with, but answering this question and explaining why this matters and how it is expressed in gameplay is the aim of this article. 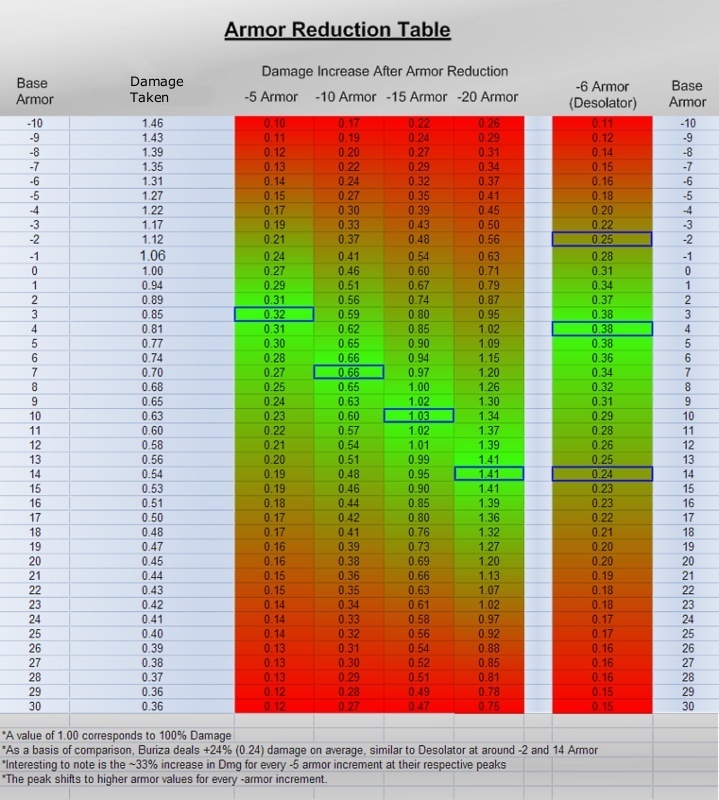 It is generally conceived that armor gets less and less effective the more you have (since the extra damage reduction gets less and less). That a Plate Mail gives you less extra protection from attacks if you already have 20 armor than if you would have only 5. This is false. If one Plate Mail makes the hero survive 3 extra attacks, then 4 Plate Mails will make the hero survive a total of 12 extra attacks before dying. Each Plate Mail gives the same amount of extra protection, which is in this case 3 more attacks before dying. Every armor point adds an additional 6% of your maximum HP to your EHP. In order to demonstrate my point I am going to always use the same examples, a hero with 0 armor and 1000 maximum hp which stacks platemails (10 armor each). - EHP: Effective Hit Points, refers to the amount of damage it takes to set your HP to zero. The first Plate Mail adds 600 pEHP to the initial 1000 hit points, this is a 60% increase of your initial EHP. The second platemail adds another 600 pEHP to the previous 1600 intial pEHP. But at the same time this is only a 37.5% increase in pEHP when calculated from the previous pEHP value with 10 armor. One frequent misconception is that 1 point of armor does increase your EHP by 6%. As shown above that is NOT the case (unless you have 0 armor). Just like written on playdota, 1 armor does not increase your EHP by 6% (since EHP would be hp + armor), it only increases your EHP by 6% of your maximum HP. This is a significant difference. Generally speaking EHP is the only thing that matters, all damage calculations only take EHP into consideration. From the calculations above we can establish, and what PlayDota does not mention, that the more you stack armor, the less cost-efficient it becomes because we add a smaller proportion of armor to what we already have. Who cares? Why does it matter that the percentual increase in pEHP when stacking armor/Platemails is lower when it still provides the same number of effective hitpoints? It still increases the number of hits required to kill you just as much as the previous Platemail so it must be just as effective, right? Wrong. Queen of Pain's Sonic Wave deals 350/475 (530)/600 (725) damage (Aghanims). It has a 135 seconds cooldown, 100/70/40 with Aghanims. Death Prophet's Crypt Swarm deals 300 damage. It ultimately has a 4 seconds cooldown. After 8 seconds Crypt Swarm as an ability deals 175 more magical dmg than Sonic Wave with Aghanims and will be up again in 4 more seconds. Even a lvl 3 Sonic Wave without aghanims, which you can only unlock on lvl 16, deals twice the damage of Crypt Swarm but has 135 seconds cd compared to 4 seconds cd once witchcraft is maxed too (around lvl 10). Yet Sonic Wave without a doubt is a much more powerful/impactful ability because bursting something down, setting the pace of a fight, getting an edge over your enemies is one of the most important things to do in battles. This principle also applies to single target spells or physical damage, if you can remove a target from the equation with little effort, time spent or abilities used then you can much more quickly focus on other targets. Efficiency. When playing the game it turns out that surviving 6 attacks instead of 3 is significantly better, more effective and more powerful than surviving 10 instead of 7 attacks. Surviving 8 instead of 4 attacks by far eclipses surviving 20 instead of 16 hits because the amount of time you gain to react and thus regenerate/reposition/use abilities again and consequently disrupt the enemy more is all you need to further extend the amount of time you will be alive and capable of contributing. This is where the extra damage reduction becoming less and less is expressed in gameplay. - It also means that Daedalus/Buriza is more effective against high armor targets compared to Desolater/armor reduction because the multiplier of Daedalus (37.5%) is higher than the multiplier after armor reductions. - Vanguard ist most effective against many low damage sources but extremely inefficient against high damage sources. If you have low armor purchasing a platemail is more effective in the long run than purchasing Vanguard. - Once we reach a certain amount of armor (13.5) a simple talisman of evasion becomes more slot-efficient than a platemail does. So unless the enemy has true strike, hex or armor reduction, which pulls back armor into regions where getting armor becomes more effective again, a DK with Heaven's Halberd is tougher to kill, has a higher pEHP value, than a DK with an AC due to his naturally high armor. The more armor you have the more effective evasion becomes compared to armor. - Low cost armor sources are incredibly efficient, subtle maybe, but efficient. Ring of Basilius armor aura for instance got nerfed to +2 from +3. - The old Phase Boots with armor from 59d were a powerful comibation of utility and surviveability and consequently that was one of the reasons why the carry/damage dealer heroes in 59d turned out to be Necrolyte, Kunkka (pure dmg cleave and nukes) and Zeus, frequently paired up with Undying's damage amplification aura or WD's Maledict (spell dmg scaling). Or classic radi Spectre. That's also partly the reason why Death Prophet, despite being enabled to maximise her physical damage potential from Exorcism with phase boots herself, slowly degraded from "the" top pick/ban hero to a hero which wasn't picked at all anymore towards the end of 59d. This section is here purely to show how armor becomes less effective when stacked. Evasion is a multiplier of your initial pEHP (maximum hp+armor). 25% evasion will simply multiply your pEHP by 33.33% no matter what your pEHP currently is. Let's compare a talisman of evasion (25% evasion) to our previous examples with Plate Mails on a hero with 1000 hp and 0 and 10armor. What we can observe here is that a Talisman of Evasion is weak compared to one simple Plate Mail in I), 267 effective hit points less. However the exact same amount of evasion as in I) suddenly provides almost the same pEHP increase the additional Plate Mails provides in II), the difference now is only 66.67 effective hit points. Being a flat multiplier, evasion catches up to stacking armor and at a certain point (13.5 armor) is going to surpasses armor stacking in increasing your EHP. Unlike armor, which scales linearly, evasion scales exponentionally. 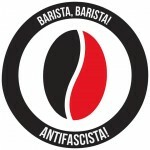 The post was edited 1 time, last by Chairraider ( Jul 12th 2012, 7:36pm ). Das ist halt wieder so ein irreführender Satz. Genau so gut kannst du nämlich auch schreiben "stacking HP does become less and less efficient indeed after all (cause other things in comparison become more effective)". So wie es jetzt da steht denken die Leute wieder, sie kaufen einfach anfangs ein bisschen Armor und später stacken sie die Hearts, schließlich bringt Armor dann nicht mehr viel. Und das ist einfach Schwachsinn, in der einen Tabelle sieht man ja, dass ein 3k HP Held bespielsweise im Optimalfall ~40 Armor haben sollte. Dann lass ich des (cause other things...) weg. Anmerkung zur Tabelle: die ist natürlich pEHP. Deshalb ist Armor im Verhältnis zu HP so extrem hoch, Evasion sowie magic damage reduction ist bei so viel HP schon sehr viel effektiver wenn's um rein EHP geht..
bei "formulas and terminology" hast du bei der formel das "1+..." vergessen. ^ bei hp musst du aber auch beachten, dass es auch vor magic-dmg schützt und von dem her immer eine gute wahl ist. der artikel zeigt aber auch, dass evasion mass underrated ist. Das hat der Ersteller der Tabelle schon berücksichtigt, er geht ja davon aus, dass 10 Armor so viel kosten wie 500 HP obwohl Ersteres eigentlich deutlich billiger ist. Was die Evasion angeht geb ich dir recht, dabei muss man allerdings bedenken, dass es lange Zeit außer Butterfly (und Radiance ;)) überhaupt kein Evasion Item gab, und die Tatsache schon allein deswegen noch nicht so in den Köpfen drin ist. echte EHP kann man sowieso nicht sinnvoll betrachten weil der anteil an schaden der physical/magical ist von spiel zu spiel (eigentlich von kampf zu kampf) variiert. von daher passt das mit der beschränkung auf EHP gegen phys.dmg schon. €: evasion ist halt nur auf bfly, talisman und halberd drauf. bfly ist eins der teuersten items, halberd sehr situativ und für nen reinen talisman is vielen oft der slot zu schade, deshalb holt sich kaum jemand evasion. vllt ist halberd ja gar nicht mal so situativ und sollte viel öfter auf tanks gebaut werden. Wer spielt denn noch Tanks? also auf welchem helden ist halberd nicht nur in speziellen situationen (ein einzelner gegnerischer carry ist hart am ownen und muss disabled werden) sinnvoller als andere items? welche helden werden überhaupt auf tank gespielt? krobelus? undying? das sind helden die von natur aus viel aushalten, nicht helden auf denen man mit equip auf teufel komm raus mehr survivability kaufen will oder? ...Axe, Cent, Bristle, Shredder, Pudge, etc. Gibt schon ne Menge Helden auf denen das Item häufig sinnvoll ist. Spiele, in denen der Gegner überhaupt keinen Physical Damage Carry besitzt, sind ja jetzt auch nicht gerade die Regel, also wird auch das Active im Normalfall immer seinen Nutzen haben. Naja, Helden die zwangsweise immer inmitten der Gegner stehen brauchen definitiv gute Survivability, und die Evasion ist ja auch nur ein Teil von dem Nutzen, den man aus der Halberd zieht. auf allen von mir genannten heroes wird gerne mal ac/heart gebaut. frage ist ob halberd da nicht genauso oder vllt sogar mehr bringt. halberd bleibt halt das teil, was man dann bei manchen gegnern als drittes oder viertes item einpackt wenn man wider erwarten nach dem core noch viel cash stackt. die evasion ist zwar ok, aber der disarm ist schon sehr speziell und mit puren hp fährt man halt defensiv insgesamt oft besser weil halt in den meisten games bis ins tiefe lategame magical dmg mehr vorhanden ist als physical dmg. es geht darum, die meiste survivability für sein geld zu bekommen, also die entscheidung ob man jetzt ac, heart oder eben halberd kauft. ck kann sichs kaufen nachdem er pt, drums, armlet hat z.b. dk kann sichs kaufen nachdem er pt, bkb, hotd hat z.b. ich hole mir eigl immer ne halberd wenn ich mal melee str spiele und schon meine core items je nach hero habe. der maim ist nur ziemlich oft wasted, aber str+evasion ist unglaublich effektiv wenn man als str hero sowieso schon seine 2k hp und 10+ rüstung hat. und das active kann man wirklich immer gebrauchen, kein team spielt ganz ohne physical dps hero, auch wenn die meisten bkb holen. Sange ist quasi n offensiver Vanguard, HP sind ziemlich gleich. Gibt eben Damage statt Block und kann sinnvoll weiterverarbeitet werden, auf Balanar oder DK imo >Vanguard. Kann man Disarm auf den Syllbear-Bear casten? Wäre dann, ähnlich wie RoA ne Möglichkeit das zu nutzen, wenn der mit AC rumrennt und deinen BKB-Carry mit Entangles zernichtet. rod of atos kontert den level 4 rabid/synergy + phaseboots bären schon gewaltig aus, da braucht man den disarm garnicht mehr. habe ganz vergessen wie gut das item doch ist, ab jetzt ein echter pflichtkauf.